your child will cherish	for years to come. 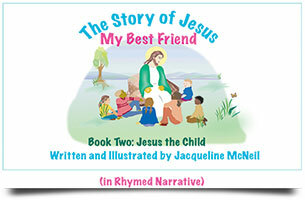 Jesus attended when He was twelve years old. 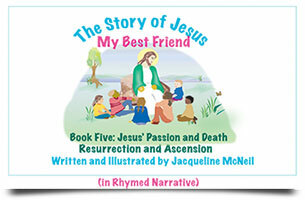 Resurrection (covered in Book Five). to His glorious resurrection and ascension. 4 and 5 into three shorter presentations. "My son was enchanted by 'Two by Two'. He studied each page very carefully and internalized each lesson. 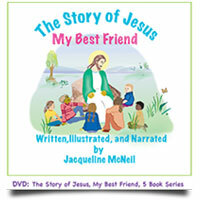 It has become a story time favorite." 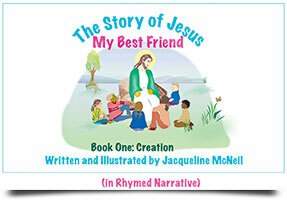 - Becky G.
Two by Two and How they Grew by Jacqueline McNeil is a collection of six rhymed narratives, suitable for children of second or third grade. 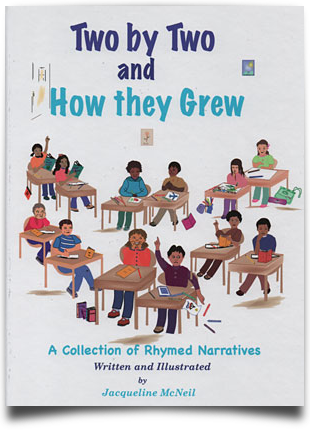 In each story, a different set of children with opposite personalities take center stage and become involved in a universal classroom conflict which they eventually resolve, with minimal help from the teacher, who is always present, but usually in the background. In this way, the natural wisdom of each child emerges and resolves the particular dilemma in a refreshing, satisfying manner. 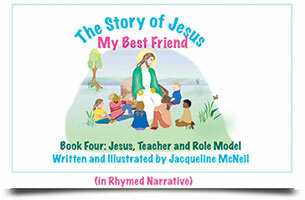 A FUN experience, yet if parents or teachers wish to engage their children in dialogue about one or all of the stories, the basic values inherent in each narrative provide that opportunity. 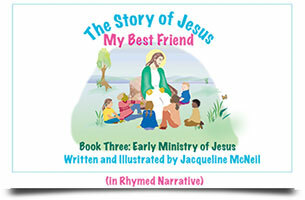 Order Two by Two and How they Grew and receive a FREE Audio CD beautifully narrated by Jordan Rich, popular WBZ Boston radio host, along with the author Jacqueline McNeil. Lonnie finds a pair of blue shorts and discovers he doesn't need them. Lonnie finds a pink bicycle and mistakes it for a boat. Lonnie finds a red shovel and believes it's a sled. NEW! Three new fun stories with Lonnie Bear! All content copyright © 2014 Jacqueline McNeil. All rights reserved.